Without an online presence, a company is virtually nonexistent. Studies show that the typical consumer is almost 60% of the way through the buying process before they ever contact the seller. The fact that you are here reading our website before you contact us only validates our point. With around one billion websites online, it is not only important to have a website, but to have one that has been designed to sell your product. Outdated designs, cluttered appearance or outdated events and content tell a visitor that your company is probably as outdated as your website design. The colors and fonts of your website should be a reflection of your industry and your company. Branding is not something to overlook. You only have 3 seconds to make a first impression before your visitor either engages or leaves. It should be clear who you are and what you are doing. What is it about your site that compels them to click past the home page? Does your content communicate to the audience you are trying to sell to? Your website is a virtual storefront. Do your visitors know how to find your various departments? Do they know how to check out? Is it easy to contact you? Where is your phone number and address located? What is a responsive website? A responsive site has the ability to adjust its size and look based on the device being used. So, tablets and smartphones look differently than a laptop or desktop computer. With 35% of Americans owning smartphones and 87% of them using it to search the web, it is becoming more and more important to make their visit easy to navigate. Once you have a website, the next step is to get consumers to come visit. Having a website without an inbound marketing campaign is like having a house in the woods without building a driveway to get to it. Your visitors must know its exact location to find it. To optimize keywords for popular search engines, it is crucial to know the most popular keywords and phrases in your industry. Keyword research is the foundation of SEO. To create an effective SEO plan, it is helpful to know where to start. A thorough website audit will give you the understanding of what improvements need to be made and help you create a pathway to get faster results. Organic results take time. The more streamlined your plan is, the faster you will see results. On site and off site optimization are both necessary for effective SEO. On site SEO includes title tags, meta descriptions, meta keywords, header tags, alt image tags, a sitemap and quality optimized content. For off site optimization, it is important to have a local presence. Local citations with sites like Google + Local, Yahoo! Local and Bing Local prove to be a great way to get faster local recognition. Depending on your city and state, there are other local citations that are useful as well. Regular press releases, business reviews, editorial publications and product or service reviews are also a big part of getting major search engines to take you seriously. This is a popularity contest. The more quality links you have to your website, the more popular you will become. We live in an online society. With 2.4 billion internet users worldwide, it is easy to make the case for online marketing. However, we frequently hear business owners say “I don’t have time for social media.” It is often viewed as a waste of time and only used for recreational purposes by the younger generation. This kind of thinking can not be further from the truth. Facebook has become the 3rd largest county in the world. Its population is larger than the United States! With over 40% of internet users having Facebook accounts, how can we neglect this audience? Once you commit to creating a social campaign, be loyal to your brand. Your cover photos on platforms like Facebook and Twitter should be consistent with your brand. Notice we said “social campaign?” There should be a strategy involved in where you post, what you are posting, how often you post, and even when you post. Careful industry research will help determine each of these factors. Once the research is done, a monthly social campaign can be created and implemented flawlessly. When it comes to great search engine results, content is king!! A website without a blog is basically an online brochure. A blog tells search engines like Google and Bing that your website is active. Also, each blog creates a new page on your website. Each page gets indexed. The more pages you have, the more chances of getting great SEO results. 70% of traffic comes from content written more than a month ago. Your blog will never stop working for you. Your blog should speak to your target audience. What kinds of subjects will they find useful? A blog that answers consumers’ questions will set your company apart as an authority in your industry. It builds trust in your consumers. When they get ready to make a purchase, they will buy from the company they trust. A PPC campaign is ideal for companies that need or want immediate results. Organic SEO is a long term strategy that shouldn’t be abandoned when using a PPC campaign. 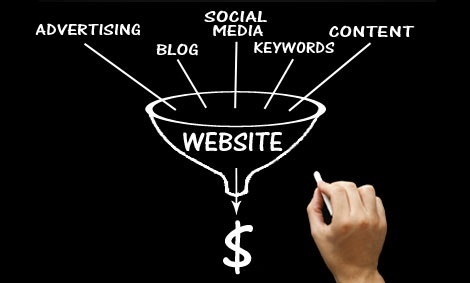 However, an effect PPC campaign is sure way to drive traffic to your site. There are three components to a PPC ad; keywords, ad text and landing page. Each one plays an important part in getting the traffic you want. Finding the winning combination will give you the best ROI possible. What keywords are your target audience searching for? Research, research and then research again. Choosing the best keywords is your first step in getting qualified visitors who are looking to make a purchase. Now that you know what your consumers are searching for, it is crucial to write your ad to grab their attention. The winning combination of your keywords and ad will also help reduce unnecessary clicks. When a visitor clicks on your ad, where does it take them? Creating a landing page that gives them the incentive to exchange their contact information for your free offer is a great way to convert visitors to leads. This conversion gives your company a better ROI than sending them to your home page. We are supposed to be talking about attracting visitors here. But, this is a little sneak peek into how we help companies capture leads. Now that your have your keywords researched, your ad created and your landing page set up. Be sure to monitor your campaign and your visitors’ behavior. This will give you the insight you need to adjust your campaign from month to month and capture the leads in your target audience.